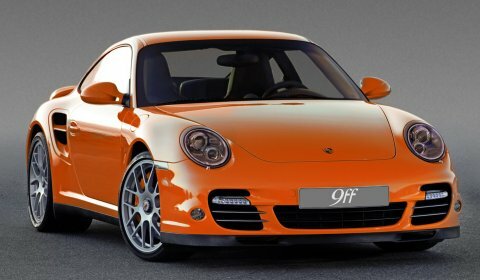 German tuner 9ff has extended its program for the 2010 Porsche 911 Turbo Facelift with a new kit, the DR700. The new program is the largest engine conversion available for the Turbo. The DR700 package produces 700hp (515kW) and 870Nm of maximum torque out of the flat-six engine. 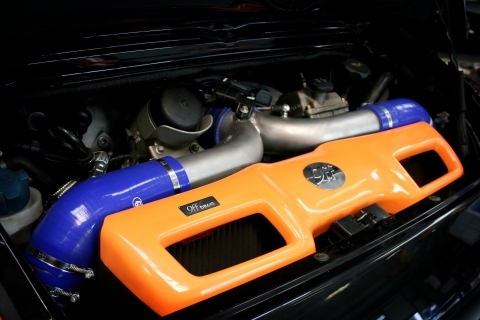 The full conversion includes a valve adjustable sport exhaust system including 9ff design tail pipes, sport catalytics, sport air filter, intercoolers, exhaust headers, intake hoses, ECU upgrade, new turbochargers, camshafts, intake manifold, connecting rods and a torque optimized PDK system. For manual shifted cars a special clutch is available. The DR700 package does zero to 100km/h in 3.2 seconds and catapults the 2010 Porsche 997 Turbo in 9.4 seconds to 200km/h and in 23 seconds to 300km/h.